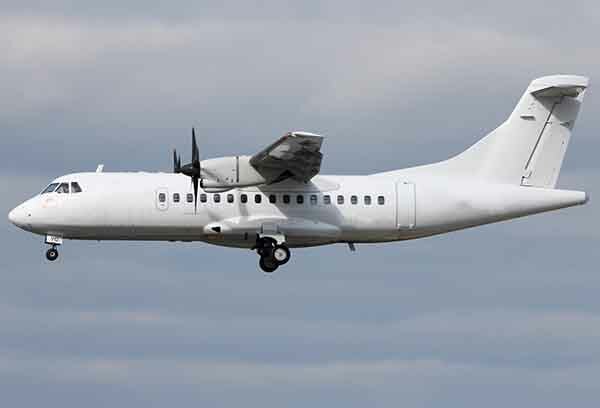 AeroVision International (Muskegon, Michigan) announces the purchase of an ATR42-300 aircraft, the first acquisition of this type for the company. The 50 seat aircraft was recently removed from active revenue passenger service and ferried from Europe to the USA. The aircraft, currently scheduled for disassembly to parts, represents the entry of AeroVision into parts support for ATR aircraft. The engines, landing gear, propellers and all of the major components and subassemblies will be made available prior to the end of the year, once the reduce-to-parts process is initiated in October. Because the aircraft was EASA and EU Ops-1 compliant, European operators may be interested in the avionics to be offered.